All our dogs are registered with The American Kennel Club & have health clearances, excellent tempraments & DNA profiles. All conform to the GSPCA Standards. They are awesome family dogs and great hunters and friends. 3. The "Big Band Singers" litter had been previously sold from our waiting list. Winter Creek's Jalapena is now residing on the Sea of Cortez in sunny Mexico. The rest of the kids are local and will be seen in the field and the show ring. 4. The Octoberfest litter is also in their forever homes. All our puppies go home with: a 1st shot, a microchip, wormed, started on Heartworm medication, started on Frontline Plus if needed, a first puppy collar, a written contract & evalution and.... their own baby book! Below is our Floyd, born 2008, 2nd from right. Gala & Sting BIS.BISS CH. Shortales N Cahoots With Irondale, JH produced this litter in 2008. 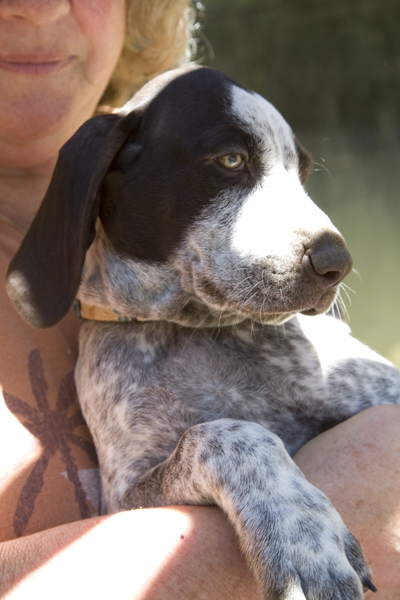 Sting was the #1 Conformation GSP for 2011. See Floyd all grown up on our 2012 Litter Page, Stud Dog Page and Contact Us Page. Floyd has proven himself again and again with his seven breedings. No matter who his current wife is, he is the kind of breeding asset and wonderful pet other breeders should strive for in their production of good puppies. 2018 finds us busy as ever. Winter Creek's Second Chance, Rudy, finished his CH. easily going Breed over the Specials. He sired his first litter with Wendi and they were spectactular! We kept a girl named Sweet Jorja Brown. 29 SHOW CHAMPIONS IN 24 YEARS OF SHOWING. .
Omar was named for Omar Visquel who played Short Stop for the Giants in 2008 and 2009. Omar finished his Bench Championship @ the tender age of 16 Months with Back to Back Best of Breeds in one weekend from the classes. He has multiple Best of Breeds in his resume. Omie is the perfect club hunting dog. He is a medium ranging gundog who doesn't miss a bird with his powerful nose. And, he's a natural retriever. Omar was purchased in 2013 for a new young mistress then aged 4. Sonja and Omar are BFFs. "Bengy" @ 10 weeks. 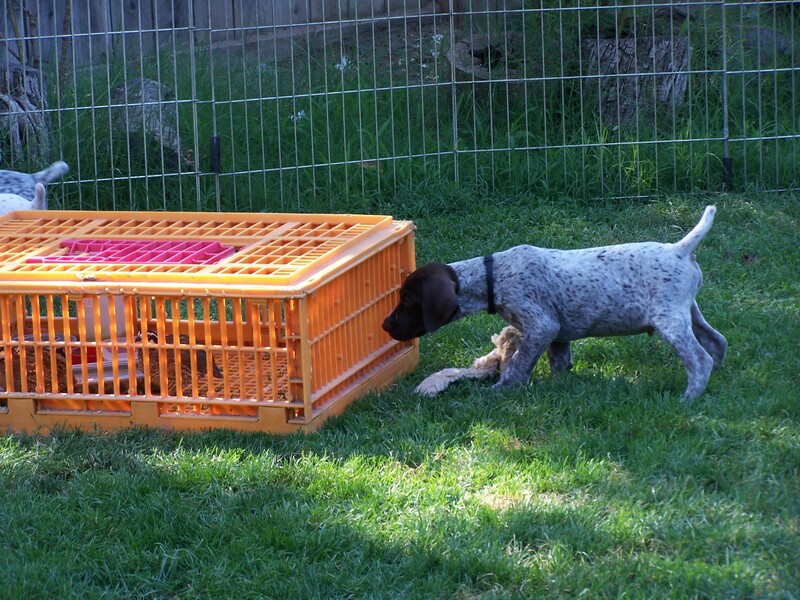 Our pups are introduced to "birds in a box" when they are 7 weeks so they are not intimated. The chukar are about the same size as the pups at this age. What you see is natural intensity! It can''t be "put in" it comes in the genes.Bengy has a new loving/ hunting/jogging home in Land Park, Sacramento. New owners, Tom and Barb tell us he is the best dog they've ever had.